We know we need to innovate to stay ahead of the competition, and companies try many innovation strategies to stay in front. There are innovation competitions, idea jams, hackathons, and websites for innovation practices. 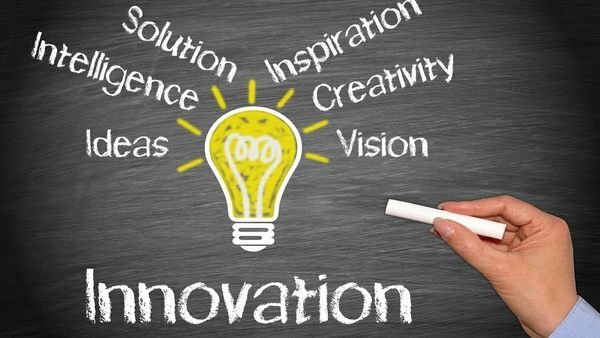 Although these innovation strategies generate a lot of great ideas do they contribute to a sustainable culture of innovation? Ultimately, your company needs more than one-time innovation. It needs a culture where innovation is a way of life. To that end, I recently came across this article by Stephen Wunker in Forbes who reported on the results of a recent think tank. The think tank brought together entrepreneurs, design thinkers, and innovators from some leading companies such as Microsoft, Autodesk, and Capital. Several innovation strategies were highlighted that you might use to develop your own culture of innovation. Encourage all types of innovation. Innovation is not just cool, market-disrupting products like iPhones. Even on the iPhone, there were hundreds if not thousands of smaller innovations that made it possible. Recently, I saw Tim Cook of Apple interviewed on 60 Minutes. He talked about the careful design thinking applied to every aspect iPhone. Moreover, he noted that same design thinking was applied to every aspect of their new campus, including the building layout, to make a great place to work. Consider also companies like Walmart and Amazon, whose innovations concern efficiency of process—a change in business model accompanied by a thousand small efficiency improvements. Finally, an important driver of innovation is speed of the cross-connection of ideas, not isolated geniuses. As Stephen Johnson points out, “The trick to having good ideas is not to sit around in glorious isolation and try to think big thoughts. The trick is to get more parts on the table.”― Steven Johnson, Where Good Ideas Come From: The Natural History of Innovation. managers are still tasked with ensuring optimal performance in the business’s core activities. While company may preach the benefits of innovation, middle managers have little desire or capacity to jeopardize core initiatives for unproven innovation efforts. Employees often get an early “no” from their direct supervisors, return to their day jobs, and put innovation out of their minds again. For a culture of innovation to become embedded, we have to encourage each other to look with an open mind at ideas that might seem contrary to the prevailing wisdom. Give champions the tools they need to make their case. Often, employees with great ideas lack the skills to champion the ideas. Rather than discourage an idea because of weak presentation or ineffective influencing methods, coach the employees to improve. Some companies even offer internal courses to help employees learn to champion their ideas better. Redefine metrics and incentives. The existing incentives and budget processes often serve to perpetuate the status quo. In his article, Wunker notes, “While employees are told to be innovative, their performance goals and compensation packages don’t create the incentives to do so.” Research has shown incentives are not everything for promoting innovation, but they help. To create a culture of innovation, we need to review whether our incentives, both tangible and intangible, are encouraging or discouraging innovation. Create a safe space for experimentation. Proposing an innovation is a risk. Others might not initially understand the value of innovation for a variety of reasons. Sometimes, innovations do not work out. Sometimes, they need more polish to be a viable change. But, innovators must be able to safely take risks and advocate their ideas without fear of being ridiculed or wasting their time. This is an important element of the implied contract between manager and employee. The innovation strategies suggested in Wunker’s article accord with substantial other research on innovation. From the wealth of research available, we can see that hackathons, innovation challenges, and idea jams are valuable strategies because they generate new ideas. But, this is just the first step. Becoming a more innovative company is often impeded then by two mutually reinforcing forces kill idea generation. Of course the more this happens, the less likely people are to generate ideas in the first place. Better informing employees about what is needed and the criteria for workable ideas. This problem is more common in larger companies where there are many silos of information, and employees are often unaware the actual issues or what has already been done. To generate more quality ideas, employees need more access to quality information. This cannot be accomplished by just expecting them to watch an all-hands presentation or executive video blogs; rather, it needs to be done by all managers taking ideas seriously and discussing the pros and cons with employees. Coaching to evangelize ideas. Many employees are not used to the level of presenting and networking that is second nature for managers. So they don’t know how to build support for their ideas. There is a tendency then to dismiss their ideas not because the idea is bad, but because the presentation is difficult to follow. This is an opportunity for coaching. Providing incentives and channels to keep those ideas alive despite initial criticism and push back from the status quo. Generating new ideas is often initially a thankless job. Incentives need to be put in place to encourage these key innovation strategies so they will not be just relegated to the bottom of the to-do list. Second, management must put a priority on keeping the idea exchange going rather than quickly dispensing with ideas that do not initially appeal to them. There must be an emphasis on seeing the good in the idea and nurturing it, not seeing the problems and squashing it. Idea-generation by employees is often discounted by management that is subconsciously reinforcing the status quo. Priorities have been agreed on already; immediate results are needed and there is no time to waste. This kind of thinking makes intuitive sense, but needs to be applied more carefully. To break the cycle, we must balance immediate needs with the need to disrupt the existing pattern by developing employees and managers who are skilled at creating a vigorous exchange of ideas.